The Conversation: What's the "state of pie" in America? Hint: It won't surprise you. Four years ago, we drove across six states in a pickup on a pie odyssey, seeking out fresh homemade pie in small-town cafes, roadside truckstops and local dives. I’m sad to report, there’s just one word for the “state of pie in America”: abysmal. ABYSMAL! We stuck our forks into one forgettable pie after another. It was only the last night, at a pricey white-tablecloth place where the pastry was worth every single calorie. Now I make a mean pie crust (à la How to Make Flaky Tender Pie Crust) – and I do, for special occasions – but mostly, really, it is better to avoid the carbs and the calories that come with crusts. Still, my Midwestern heart longs for pie, especially in summer when the fruit is so heady and sweet. So last summer this idea struck me: why not skip the crust entirely and convert pie filling to pudding? We’d just devoured a Fresh Peach Pie and a few ripe peaches sat on the counter. Perfect: guinea-pig peaches! My first experiment was a hit, soft peachy peaches, but with some firmness and structure left. I can’t speak for America but here in my kitchen, let the Pie to Pudding Odyssey begin. HOW TO DICE WHOLE PEACHES I like to dice the peaches whole, holding the peach in my left hand, cutting each half into six slices right to the pit, then inserting the knife around the circumference, cutting each slice in to three pieces. Kitchen Parade is written by second-generation food columnist Alanna Kellogg and features fresh, seasonal dishes for every-day healthful eating and occasional indulgences. Do you have a favorite family peach recipe that other Kitchen Parade readers might like? Just send me a quick e-mail via recipes@kitchen-parade.com. 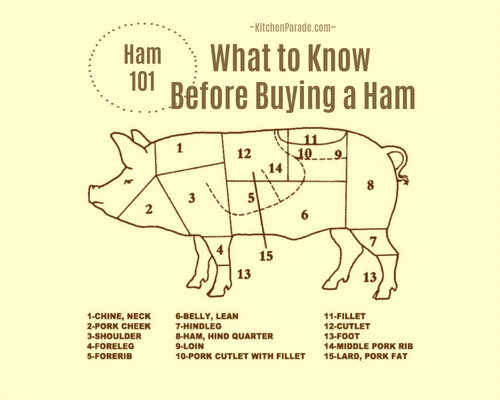 How to print a Kitchen Parade recipe. Never miss a recipe! If you like this recipe, sign up for a free e-mail subscription. If you like Kitchen Parade, you're sure to like my food blog about vegetable recipes, too, A Veggie Venture. Follow Kitchen Parade on Facebook! BLANCH PEACHES Bring water to a boil. A couple of peaches at a time, drop peaches into boiling water for 1 minute. Lift out with a slotted spoon and repeat with remaining peaches. When peaches are cool enough to handle, slip skins off with your hands, then dice the peaches. COOK ORANGE SAUCE In a saucepan, stir together the sugar, cornstarch and orange zest, slowly add the orange juice. Turn heat to medium and cook slowly, stirring often, until sauce thickens. Remove from heat, stir in butter and almond extract. COMBINE Stir peaches into sauce, let cool to room temperature, then refrigerate until chilled. TO SERVE Top with a little Greek yogurt and a few slivers of toasted almonds. NUTRITION INFORMATION Per Serving, assumes 6 servings, with Splenda/sugar: 129/186 Calories; 2g Tot Fat; 1g Sat Fat; 5mg Cholesterol; 14mg Sodium; 25/42g Carb; 3g Fiber; 18/35g Sugar; 2g Protein. 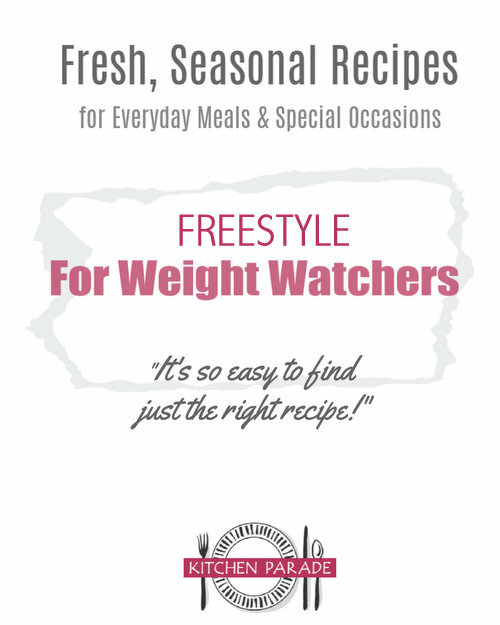 WEIGHT WATCHERS WW Old Points 2/3 & WW PointsPlus 3/5 & WW SmartPoints 5/6 & WW Freestyle 3 CALORIE COUNTERS for 100-calorie servings, divide into 8/15 servings; 50-calorie servings, divide into 11/22 servings. This recipe has been 'Alanna-sized'. Adapted from Fresh Peach Pie, my "first" peach pie recipe. And ha! I didn’t realize until just now but this is not the first simplification of a classic peach recipe: just take a look at Peach Un-Cobbler, it’s Peach Cobbler without the "cobble" (or with, should you prefer). Have you tried other types of fruit in your non-crust "pies"? We have some berries (blue and black) that need to be used. Love the idea of eliminating the fat, carbs, calories of the crust, and I like the filling the best any way! That pie odyssey sounded like it could have been fun.......I can recommend the pies at the Chickahominy Restaurant in Williamsburg, Virginia. They are known for them. It's not in the touristic part of town. This peach concoction looks delicious. I have been eating a lot of nectarines, but they are Spanish ones as I am in the UK and most of them seem to come from Spain. Denise ~ You are two steps ahead of me! The technique should work just fine with other fruits, especially for recipes where the fruit is cooked ahead of time, before being put in the pie crust. Those that are cooked “in” the crust would take a little more tweaking (aka cooking) but still, should work. I think my next pursuit will be blueberry! Catherine ~ Hello to the UK! And thanks so much for the pie place recommendation, we are prone to “odysseys” (in fact, since we are at the beach in Florida with family/kids right now) are sampling one key lime pie after another! And hey, “Spanish-Nectarine Pudding” sounds wonderful! Kris - Apricots would be beautiful! I love the idea of pie without turning on the oven (I could happily eat the crust, too, but I'd rather skip the baking part). This sounds great! My daughter picked up a giant peach (Momotaro, to us, not James) at a farm wagon the other day, and just face planted in it. We know where we're getting peaches this year, since we saw the trees next to the black raspberry canes we were picking from, so all I need is time. Kirsten ~ You are brilliant, m’dear, brilliant! I hadn’t even thought about this being peach pie without turning on the oven. Another good reason to make it!